Mountain biking is a sport dedicated to those who hate all kinds of limitations. You can pick your own trail, your own tricks and you can ride anything that makes you feel happy. It is just like in your life – you choose your goals and then you find a way of achieving them. In life or on a trail – you just Ride Your Way! That’s how Dartmoor sees mountain biking. How About winning a top Enduro Bike? Now the rad stuff. Dartmoor-Bikes are giving you the opportunity to win a top enduro bike, the Blackbird Evo 27.5. This fully-loaded version of the bike based on the Blackbird frame, equipped with RS Yari RC Boost fork and RS Monarch Plus Debonair shock is the perfect machine for all advanced enduro enthusiasts. To have a chance of winning all you have to do is show us your way of riding a bike by sending us a photo from #BehindTheBars like the ones below. It’s simple. Get on your bike and show us your favorite spot by taking a shot from #BehindTheBars. No matter what bike you ride or what style of riding you prefer. Just show us what makes you feel great when you’re riding your bike. Take your shot, and upload it to Instagram and make sure you've tagged your photo with both: #BehindTheBars and @Dartmoor_Bikes to become a part of the contest. so be sure to check if you've won! We will choose the best three photos and the most striking will win you the Dartmoor Blackbird Evo 27.5 bike. Prizes for the second and third winning shots are the Dartmoor Woods riding sets – a long sleeved jersey and shorts. 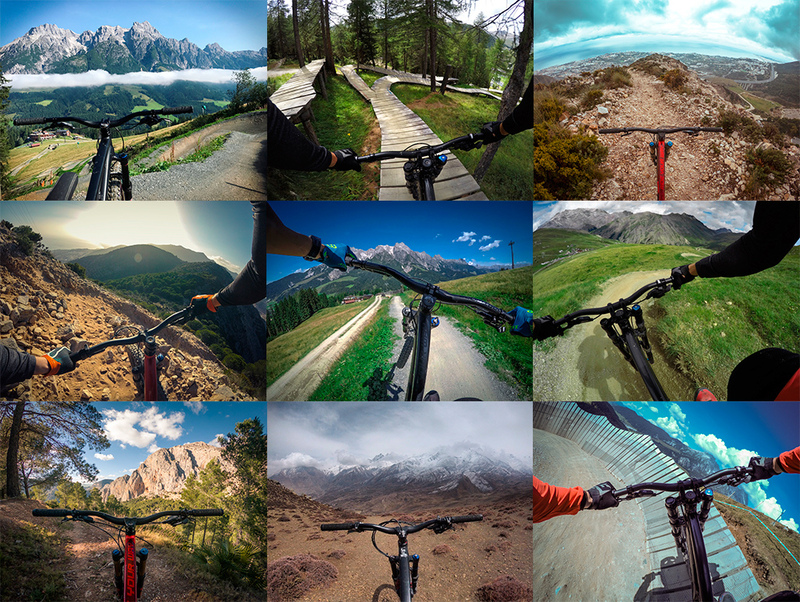 So grab your bike, load your camera and show us how you Ride Your Way! We at Dartmoor-Bikes are always happy to see the views from behind your cockpit so please share your photos with us, not only during the contest. 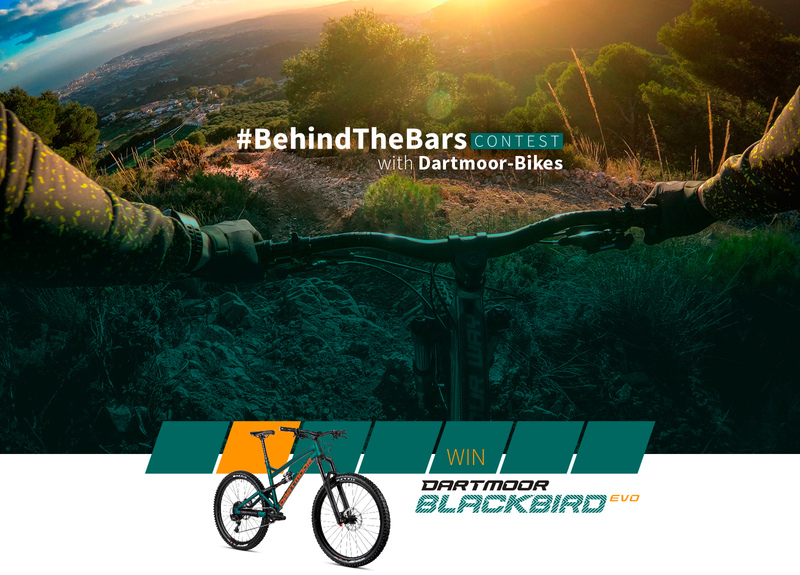 Simply tag them on Instagram with #BehindTheBars and @Dartmoor_Bikes! "Cool, I could win a bike"
why tho? what's wrong with Instagram? @Asmodai: I don't have or ever intend to have an account. What is this insant grams you're all yapping about? @scott-townes: It's when a child is instantly good at an activity/sport. Instant Grom. It's when you take a picture that you like, and you put it on the line so others can see it. It's a hell of an idea. @stevemokan: I don't see that idea catching on anytime soon. I'm just sad that I can't win this bike. I get why Dartmoor would create a competition in this format (it totally makes sense and I don't blame them, they make nice bikes and if were in the market to buy a new one I'd certainly have a gander), but I'm not going to enter purely on the basis the instagram thing, It's not a big thing, simply a grumble that I have to pass up an opportunity to win a lovely bike because I don't want to join a large social media thing. In an era of data abuse scandals I don't think I'm alone. I realise I'm not offering an alternative or doing anything constructive to resolve this issue but then I'm not a marketing man. If I was I'd be able to buy this bike and make you buy one too without resorting to these new-fangled picture things. I do wish Dartmoor all the best as they make some great bikes and have a great name (it's a a great place (I'm going to put the word great in some more brackets)). Who in their right mind would downvote this beautiful comment. It specified "Behind Bars", it didn't say which! So you could take some sweet shots at the local pub with some nice views and send em' in! @shaun-ridefast-michael: with some Beer Bar Ends? @leopaul: or steal a bike, get arrested, take a pic 'from behind bars', win, do your time, ride your new dartmoor. Bad thing about a contest like this is that people will win that have 1st a very expensive camera to shoot a super nice picture, 2nd knowledge on how to make it even better with photoshop and 3rd they live in a place where there's a super nice landscape. I love the place I live and ride my bike regularly. I just don't have those super nice spots you can see in the pictures above. right? so best case scenario, someone with a nice scenery and a good camera will win. @Asmodai: "WE will choose"=/=random(someone picks what he or she likes vs. a computer that picks random people), do it fair, random pick and if the people that won did every step, they're a winner, fair chance for everyone. @Asmodai: everyone does the same thing, goes out finds a nice spot and takes a picture, but not everyone in this world lives in a nice place or has a nice camera, that's what i was trying to say. But hey, their giveaway their rules, but it would have been nice if everyone had an equal chance, that's all. That's just my opinion, you have yours, let's just leave it at that. Have a nice day. @dudy: should there be participation awards at races too? Or is it still ok to say the first dude across the finish line won? Good to know the best shot will win the bike and not a random fuzzy pic of a sidewalk taken with a potato. Hopefully someone incarcerated wins this contest! I don't have a instagram account. Don't do social media nonsense. If I want to ride with my friends I call them, we get together and we ride. when you say call i assume you mean facetime or snapchat call? or send a DM? wow you are such a special snowflake, you want "no social media" medal? Is this a world wide contest? Or only for certain regions? nooo... we'll have "none" of that! !